In a post-apocalyptic world (aren’t they all), a sinister organization known as the Southern Cross wants to rule the wastelands. The forces of evil are represented by Lord Shin (Mandylor) and the baddie Jackal (Penn). A lone hero stands up for himself and the rights of others, a man named Kenshiro (Daniels). His “Fist of the North Star” stands in opposition to the Southern Cross. From here on out it’s a fairly straightforward battle of good vs. evil with plenty of familiar faces along the way, from Melvin Van Peebles to Lockdown's(1990) Chris DeRose, among many others. Will Kenshiro beat the baddies? Fist of the North Star was originally a Japanese animation, or Manga. Someone apparently thought a Direct-To-Video live-action remake was exactly what the world needed. They even used American and British stars, but didn’t change their original Japanese names. Hence credits like “And Malcolm McDowell as Ryuken”. You don’t see that one every day. 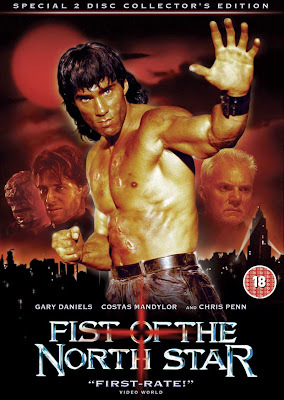 So Gary Daniels plays a guy named Kenshiro, etc. But the real problem with this movie is that it is a mishmash of pointless, plotless gobbledygook. You don’t really care too much about any of the characters, and, largely because of the closed-in sets, the whole movie has a claustrophobic and stagey vibe which doesn’t do anyone any favors. Top fan favorite Gary Daniels appears to be doing his absolute best, but it’s like he’s trudging through syrup. It’s a total post-apocalyptic slog, and without any bright spots, such as Steel Frontier's(1995) Chickenboy. It’s ground that’s been well-trod in the past. Downtown Julie Brown can’t Wubba Wubba her way out of this one. While it’s trying to be just like the anime version, with a bunch of wacky, cartoonish effects, the only time the movie really shines is in the straight-up Martial Arts fights. And most of the really good ones don’t come until the end of the movie. And by that time, the viewer is saying, in frustration, “Where were these before?!? ?” This led us to the conclusion that if Isaac Florentine directed this movie, it would have been similar, but a lot better. As we’ve discussed before on this site, when it comes to movie-watching, there is a definite difference between watching a movie and waiting for a movie to be over. It’s an important distinction, and because of the rampant Lone Tiger effect, and the fact that at the end of the day this is just another post-apocalyptic slog, we cannot recommend Fist of the North Star. 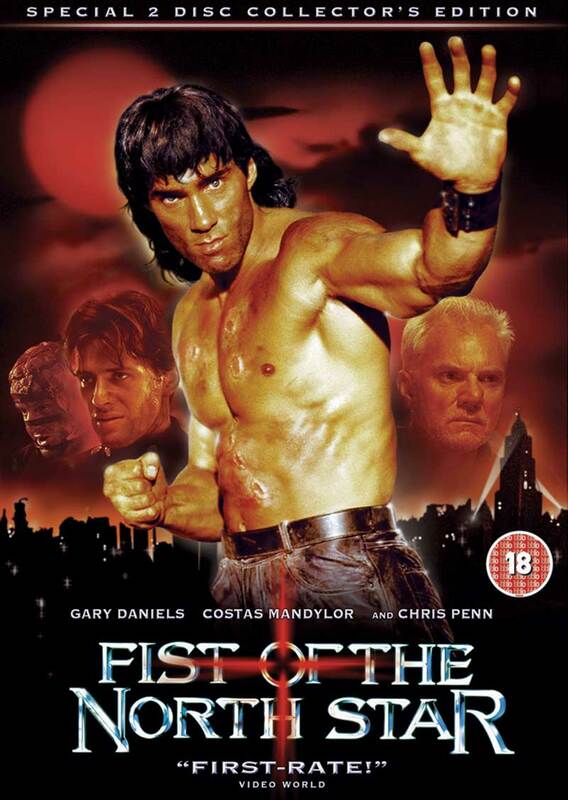 We still love Gary Daniels and all, but this is not one of his best projects, in our opinion. Also check out reviews from our buddies, DTVC and The Video Vacuum! I'm a bit softer on this one than you guys because it was one of the first Daniels flicks I watched but I can see where you're coming from. I agree it's hilarious that they basically whitewashed the whole cast. I can't believe no one thought to alter the names or cast a couple more appropriate actors. It's quite interesting because the manga (and anime) were heavily inspired by The Road Warrior (just look at Kenshiro's costume). And then they turned it into a film and it came off as a Mad Max rip-off. I also concur that the major problem (after it's painfully small budget - you can tell it was shot in a tiny studio) is the director. Tony Randel's great at the gore and stuff (like Kenshiro's exploding veins) but doesn't know how to film a fight scene to save his life. Daniels even admits this on the DVD commentary. He had to choreograph most of the fight scenes himself and the director had only scheduled a few days (!) to film them. Isaac Florentine (or Steve Wang?) would have considerably helped this film. That said, I love the set design and the campy tone of this film. Also, the score by Christopher L Stone is top notch. Looks like we agree to agree! 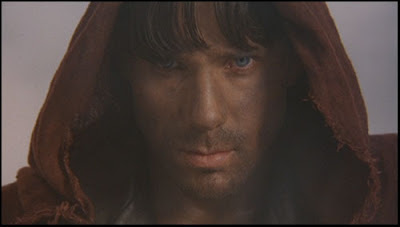 We can see why this movie has sentimental value, because this is a ideal movie for a GD fan to see at the video store. They should do ten-thousand more Head Explosion thriller movies. Haha! Yes they should. We need more exploding heads and bodies in movies.